This course will both explore some of the ideas of the Pakistani emigre scholar Fazlur Rahman and offer a retrospective view on his ideas. 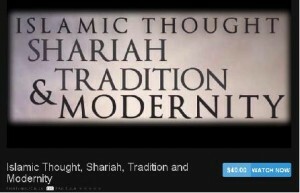 Modernity and tradition are both highly contested categories in Muslim life, practice and thought. This course attempts to flesh out some of these issues in order to enhance the conversation. 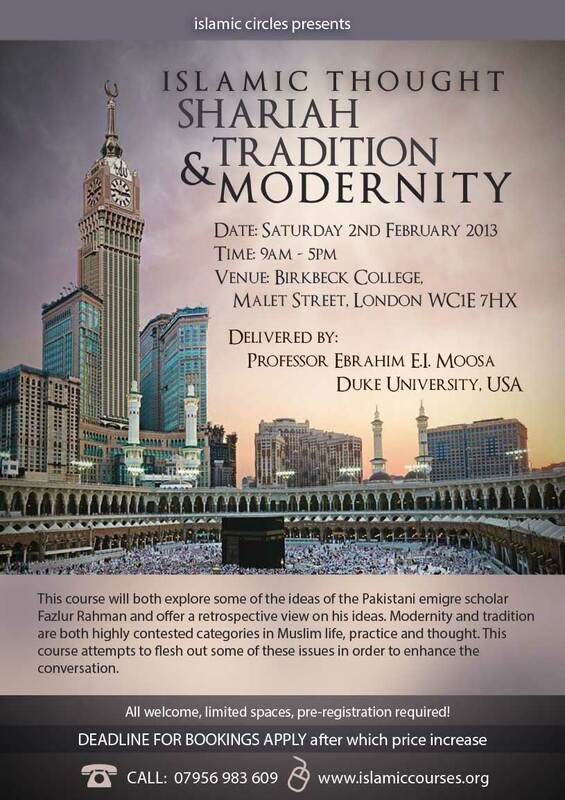 This one-day seminar will explore some critical concepts in modern Islamic thought. The challenges modernity poses to inherited Muslim thought and how Muslims both adopt and combat modernity. The seminar will explore the ideas of prominent thinkers and grapple with the question of history and interpretation with a special emphasis on the remaking of tradition especially in the light challenges in ethics, science and citizenship. Iqbal, Reconstruction of Religious Thought in Islam, Chap 1, “Knowledge and Religious Experience,” & “The Principle of Movement in the Structure of Islam.” Fazlur Rahman, Islamic & Modernity. Participants should try to read this book, it would be helpful. But those who did not read can still participate in the seminar. ad-Dihlāwī, Shāh Walī Allāh, and Marcia K. Hermansen (trans). The Conclusive Argument of God: Shāh Walī Allāh of Delhi’s Ḥujjat Allāh Al-Bāligha. short sections Karl Lowith: Meaning in History, “Hegel”. Leszek Kolakowski: “Modernity on Endless Trial” in Modernity on Endless Trial Abdulkader Tayob: “Religion Between Shari`a and Law” in Religion in Modern Islamic Discourse Moosa, Ebrahim. “The Debts and Burdens of Critical Islam.” In Progressive Muslims: On Justice, Gender, and Pluralism.